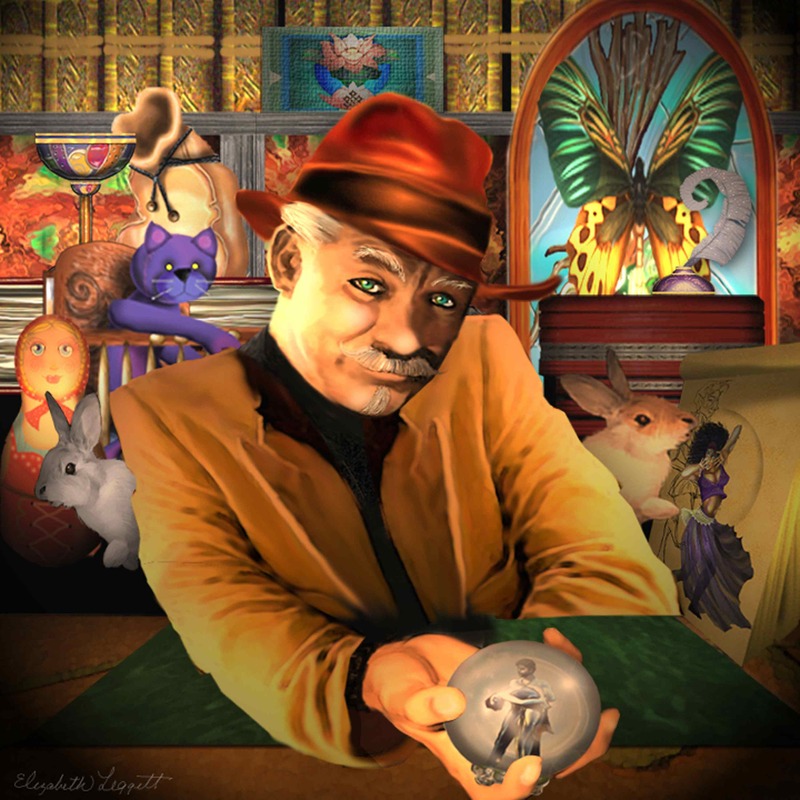 The Trickster is an unpredictable and irrepressible figure found in stories all over the world. A paradox, the Trickster can be both heroic and villainous, funny yet dark, and wily but vain. Sometimes called the Lord of Misrule, the Trickster is a crosser of boundaries, a violator of rules and an agent of change. The Trickster can be male or female, human or animal, mortal or god – Coyote, Anansi, Brer Rabbit, Pan, Hanuman, and Loki are all characters who demonstrate that such figures are staples of mythology. The Trickster lives in between realities, bound by his own code of ethics but indifferent to outside laws. He riddles, tricks and slips through cracks. He feels compelled to subvert the old order to craft new possibilities – after all, for every rule, there is someone who cannot abide it. Many may despise the Trickster, for he is an outlaw to some, but others desire him, for he still possesses a rebel charm and the romance of the damned. However, as the old tales show, you underestimate this seemingly loveable rogue at your peril. The Lord of Misrule can be dark and deadly to encounter and even the most gentle brush with him is likely to leave your life turned upside down. Alan Garner once memorably described the Trickster in the following terms ‘the advocate of uncertainty… a boundary for chaos… the shadow that shapes the light’. This provides as good a definition as any of the elusive, enigmatic anti-hero that is a recurring motif in almost every nation’s myths, legends and fairy tales. One thing that you have to remember is that the Trickster is not your friend. His acts may benefit people or damage them but ultimately the Trickster does not really care, as long as the trick is a good one. In Native American legends to be on ‘the coyote road’ means to be headed to a wild, unpredictable and transformative destiny – in other words, to follow the path of the Trickster, which is neither a safe nor comfortable place to be. The Trickster of mythology is a contrary figure: both good and bad, both wise and witless, both sacred and profane. In some tales he is credited with giving humans fire, language, hunting skills and the creative arts while in others he is the one who brings war, hunger, disease and death. As stated above, the Lord of Misrule takes many forms, whether divine, such as Hermes in Greek mythology or Legba in African lore; animal, such as in the Coyote, Raven and Hare stories of various Native American tribes; or fairy, such as Puck or Robin Goodfellow in English folklore. While Trickster is male in most myths and legends, a few female Tricksters can also be found, such as the charming, seductive and deadly kitsune (fox maidens) of Korea and Japan. Whole holidays are dedicated to the Trickster’s spirit of anarchy, mirth and misrule, such as midwinter Carnival festivals, the Jewish Purim, and the Christian Feast of Fools. This amply demonstrates the seemingly endless popularity of the Trickster figures, who we invariably end up rooting for in the old tales, rather than the often hapless humans they prey on. Perhaps this is why these anti-heroes have translated so well into modern forms, such as the amoral Captain Jack Sparrow in the Pirates of the Caribbean films. 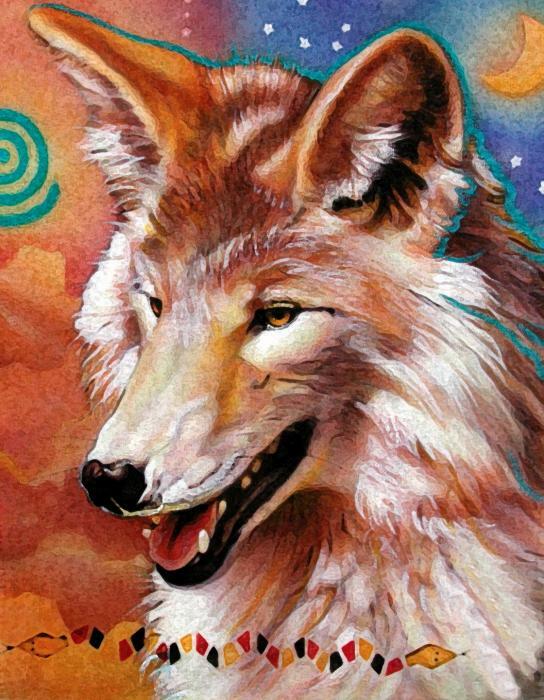 Coyote may be the best known mythic Trickster in North America. In a number of Native American cultures it is considered inappropriate, even dangerous, to tell tales about Coyote at any time of year apart from winter; it is disrespectful to Coyote and unlucky to attract his attention by telling stories out of season. You would do well to heed this advice, for Coyote makes a dangerous enemy. Coyote stories are marked by their combination of outrageous humour mixed with elements of profound wisdom; they are stories in which the sacred and profane are tied together inextricably. Though often entertaining, Coyote stories play an important role in Native American culture, for they show what happens if you fail to live in harmony with your neighbours and take care of your relatives. Coyote is depicted as always being hungry, always being lazy and always chasing after anything that does not belong to him. Never giving any consideration to anyone else, Coyote invariably ends up making a mess of everything, sending out an important cautionary message in the process. Coyote tales may therefore have been funny, but they were a warning too. This dual aspect of Trickster tales is prevalent in cultures throughout the world. In Greco-Roman myth, Prometheus is both a rogue (when he steals fire from the gods) and a hero (when he lifts the darkness for mankind). Carl Jung viewed the Lord of Misrule as an expression of the shadow side of a culture, the embodiment of all that is repressed and disowned. In recognition of the Trickster within, we both delight in his outrageous escapades and then, being ethical creatures, too, we also savour his inevitable comeuppance, when his tricks have failed and order is restored. It is interesting to note that the vast majority of Trickster figures are male, even though lies and duplicity are hardly limited to one gender. Even the few mythic examples of female Tricksters rarely enjoy the same status as their male counterparts. The reason for this is hard to say. Perhaps it is because the first Trickster myths originated in traditionally patriarchal societies or perhaps it is because on some deeper level these tales articulate some distinction between men and women. No one really knows, and this is but one more mystery that we can add to the greater enigma that is the Trickster. The Trickster is a consummate shape-shifter, turning up in many different forms in myths and legends around the world. Sometimes he’s a god, an animal, a mischievous fairy or other supernatural creature. Sometimes he’s a human simpleton, a Zen master, a Muslim mullah, or the devil waiting at the crossroads. The Greek god Hermes, known to Romans as Mercury (and the origin of the tricksy term ‘mercurial’) is one of the classic tricksters of Western myth. The illegitimate son of Zeus by a nymph named Maia, Hermes was not born to divinity but had to win his place among the Immortals using charm, cleverness and duplicity. He is portrayed as wily, lusty and unpredictable, with a soft spot for pranksters, fraudsters and con artists of all stripes – the god of liars, gamblers and thieves. Loki, in Norse mythology, is another classic trickster figure: full of clever pranks that both undermine and benefit the gods of Asgard. He is an irrepressible liar, schemer, thief, and lover of practical jokes; he is also a shape-shifter who can even change genders at will. In causing the death of Odin’s son Baldur, however, Loki performs one trick too many and is imprisoned in a cave by the other gods, there to remain until the final battle of Ragnarok. Legba is the wily, unpredictable trickster of the Fon people of West Africa. He is the ‘opener of the way’ in voodoo ceremonies; the facilitator of communication between the human and spirit worlds. Depicted as an old, old man in tattered clothes, Legba can be both kind and cruel and is never to be trusted entirely. A large number of trickster figures come in the form of animals and birds. Coyote, who is both man and animal, falls into this category, as do both Hare and Raven. The Great Hare known as Nanabush is a powerful, complex character. In some tales he is a cultural hero – a creator, teacher and the bringer of fire – while in others he is a clown, a thief, a lecher and a cunning predator. Similarly, Raven is simultaneously revered as a world creator, feared as a source of chaos and strife and laughed at as a clown and a fool. Other animal tricksters around the world include Lord Hanuman, the noble monkey god of India; Anansi the Spider, whose tales are known in many parts of Africa, the West Indies and far beyond; and the famous Monkey King of China. The Monkey King is a magician, a shape-shifter and an incorrigible prankster, exasperating even the Buddha, who kept him trapped under a mountain after one of his pranks. In The Tales of Renard the Fox, a European epic of the Middle Ages, the fox is a satirical trickster figure: a greedy, wily rascal who dupes peasants and the nobility alike. Staying in the realm of European mythology, it is obvious that there is more than a touch of the Trickster archetype in the makeup of fairies such as Puck, a folk figure in England most famous for appearing in William Shakespeare’s A Midsummer Night’s Dream. Whether male or female, animal or human, thief or hero, villain or clown, the Trickster’s role is to break out of every box we try to put him in. The Trickster is, after all, the mythic embodiment of the ultimate free spirit, unwilling to be bound by society’s conventions, traditions and expectations. The Trickster shows the creative potential in such freedom, as well as its potential for disaster. The Trickster personifies ambiguity and ambivalence, doubleness and duplicity, contradiction and paradox, crossing lines and confusing distinctions. He challenges our perceptions, prevents us from getting too comfortable and always encourages us to look very carefully at any bargain that we may make. As the old saying goes, ‘you can’t con an honest man’. In that sense, as in many others, we all have a bit of the Trickster in us, and that’s something to be grateful for. ← Brandon Sanderson: The Next Big Thing? Damn fine collection of tricksters! I have to say, I think the trickster is a great character to pull out for finales and resolutions within a story. He gives us the victory of the hero, but without the blood and bombast of the epic fantasy victory, which would be more like the end of Macbeth. Also, thank you for following my blog! I really like your articles, I hope you’ll enjoy mine! Thanks, I’m sure I will! 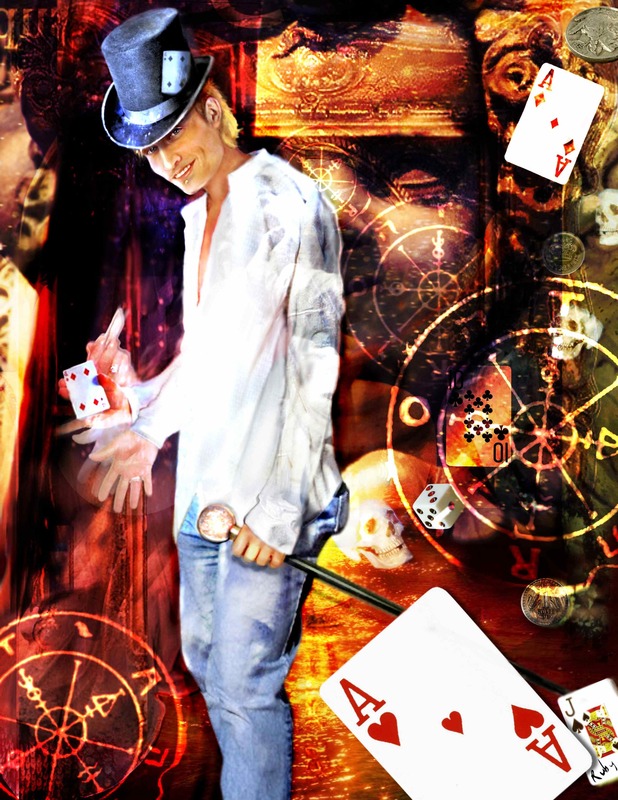 The trickster is a great way to add depth to a plot and put twists in your conflict. I’m not so good with the humor aspect. I do like to put in someone who looks a good guy helping the protagonist on the way but is actually sending them down the wrong path or giving wrong information. In case you’re interested, I wrote a little bit about trickster figures in this post. Moral ambiguity may not make for good character, but it sure makes great *character types*! For a moment, there, I was sad, thinking, “Aw, I don’t know if I’ve written any awesome trickster characters yet…”. Then one came to mind — (one of my fairytale world’s winds!) — and the remembrance pleased me much. Another intriguing post. Thanks, Ash! This article is well worth reading. So much insight to the various forms and whimsies of Trickster type characters. This is a great overview of the Trickster. I never thought about the (almost) lack of female Tricksters before; makes me wonder about the “chaotic neutral alignment” and how it plays itself out in the female psyche. The Fox is always a symbol of a trickster! To me, the best tricksters are the ones you don’t notice before it’s too late – before they tricked you. That is the virtue of the trickster; to be sneaky about the job. The Fox is pretty much always a trickster, but so is the Rabbit. True! That’s what I’m all about, you wouldn’t necessarily consider the rabbit as a trickster in the first place, but he is, and that can be surprising. There is a lot of the Trickster in the English myths or legends of Robin Hood (read the original ballads and you’ll find a darker character than the late romantic version), but he also merges with memories of the Green Man. You could even argue that historical figures of the Wild West like Billy the Kid and Jesse James (or even gangsters like Pretty Boy Floyd) took on aspects of the Trickster archetype through the stories that were told and songs that were sung. As a lover of archetypes, both in my classroom and in my writing, this is an excellent explication of the Trickster. One thing that is interesting is that it hints that the Shadow and Trickster archetypes are blended (and they certainly can be), something I believe isn’t always true. My masters thesis included the issue of Mordred’s casting in Arthurian Lore: Trickster (The Once and Future King), Villain (Morte D’Arthur), or Shadow (Mists of Avalon)? Or if you’re reading Mary Stewart, ill-fated hero. Interesting food for thought.